How About a Pizza Pie? 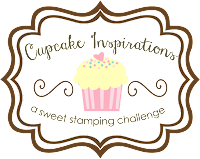 Welcome to my stop on the Club Scrap® Trattoria Blog Hop! If you started on the Club Scrap blog, then you know this is the last blog hop for the Club Scrap Artist Team. I have been a member of Club Scrap® for many years and being a member of the Artist Team was just… Continue reading How About a Pizza Pie? I don’t know about you, but I have a lot of stamps. Lately, I’ve been challenging myself to use multiple stamps from different kits on my projects. That led to scene building! Sometimes I’m intimidated by the size of an art journal page or scrapbook layout. That can be a lot of white space to… Continue reading Make a Scene! It’s fall ya’ll! Well, almost…technically, the first day of fall is September 22 according to the Farmer’s Almanac, but it’s close enough for me! I’m ready for crisp fall days when I can turn off the A/C, open all the doors and windows, light a fire pit on the patio with no mosquitoes and have… Continue reading Today’s Special…WATERCOLOR!